Like times tables, skills have to be practiced especially fine embellishment. Before we use expensive fine products such as silver metal clay, all new designs are tried out to ensure they are workable with porcelain clay. Again, where fine painted decoration is required (embellishment), practice is essential to ensure professional results. 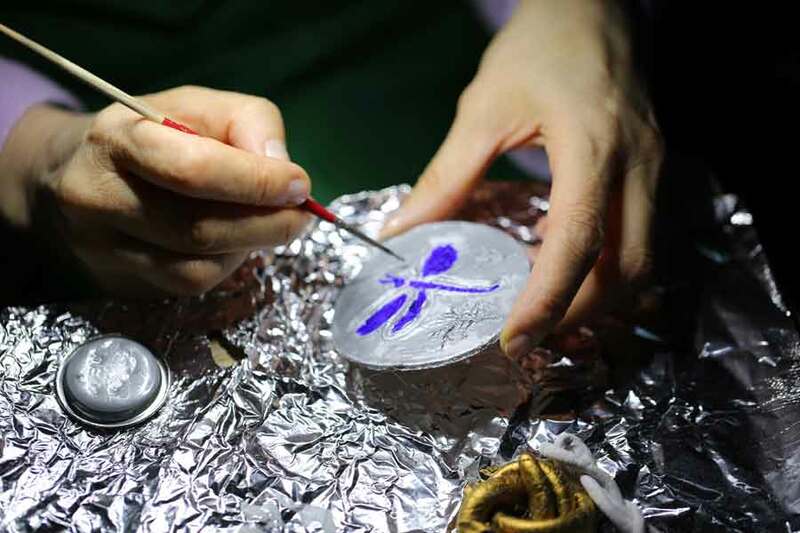 Picture shows dragon fly being painted for a bridal charm. Here at the cottage our work is very varied and eclectic especially when clients ask us to repair or recycle loved pieces of jewellery. 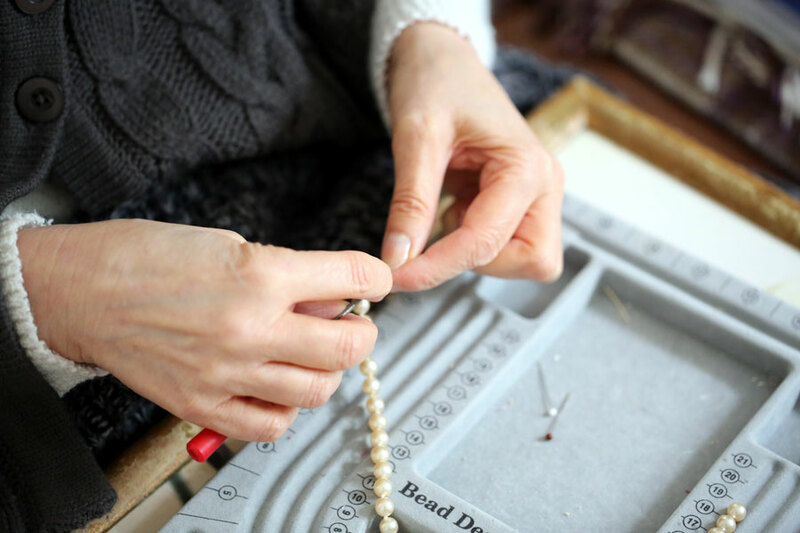 For instance, all pearls should be hand knotted. It does take longer and therefore slightly more expensive but the finished result far outweighs the cost. 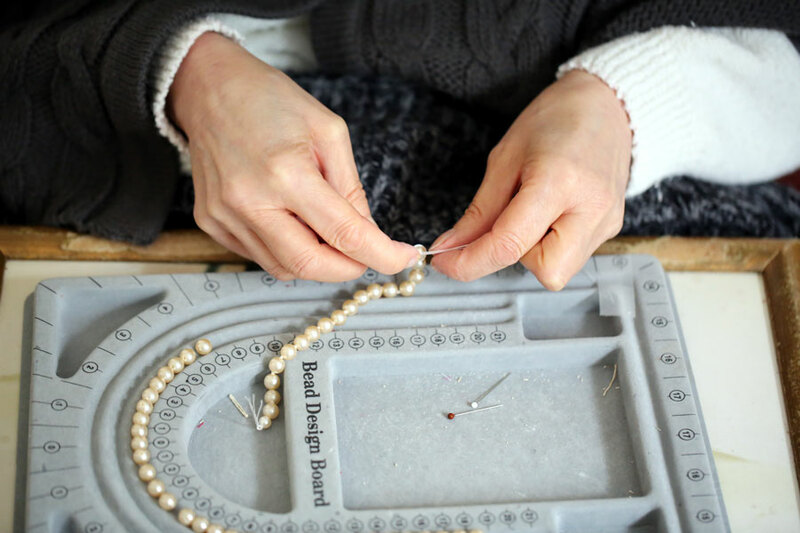 The picture shows a new pearl bracelet being created from a poorly, well loved pearl necklace. 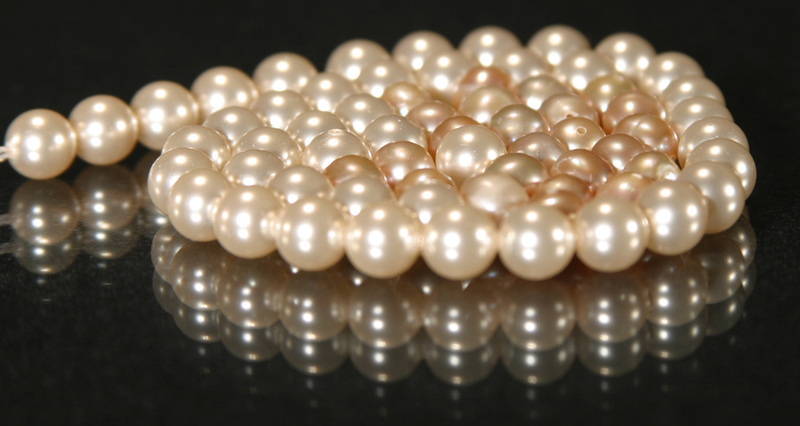 We teamed in Swarovski jet xillion and matched Swarovski pearls to replace missing pearls. 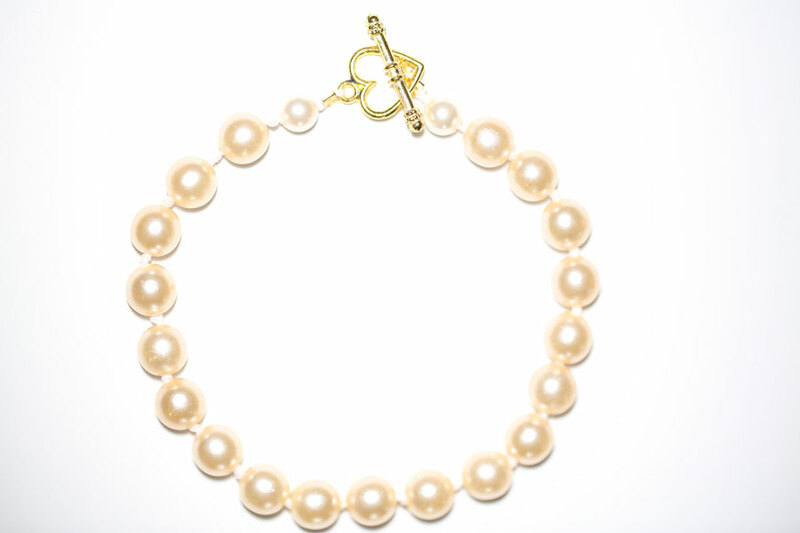 To complete the pieces, silver findings on earrings and necklace; gold toned for the warm pearl bracelet.